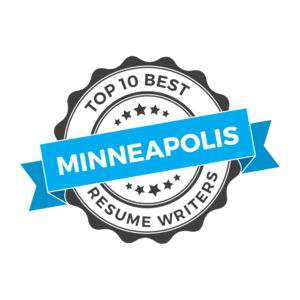 Feather Communications has been named one of the Top 10 Resume Services in Minneapolis. Dr. Heather Rothbauer-Wanish, founder of Feather Communications, is a Certified Professional Resume Writer and provides resume-writing services to clients throughout the United States. Find My Profession, a website geared towards helping clients land job opportunities, cultivated the listing of Minneapolis-area resume writers. According to the site, a solid history of glowing reviews helped Feather Communications secure a spot on the list. “I’m excited to be included as a top resume writer,” Rothbauer-Wanish said. “My passion for resume-writing has allowed me to assist thousands of clients in helping them to identify their strengths and achievements,” she continued. As part of her website, she features a regular blog offering implementable tips that range from formatting resumes to how to write a cover letter. Tips from Feather Communications have been featured on CareerSidekick, MSN, Monster, Recruiter, MFG Jobs, and the Management Resource Association websites. “I absolutely love what I do and I am passionate about helping people market themselves to land their dream jobs,” she concluded. For more information on resume writing services, please contact Feather Communications at 715-559-6378 or email heather@feather-communications.com. It’s the holiday season of Thanksgiving, Christmas, and the New Year—there are a lot of holiday parties, company get-togethers, and other networking events. It’s a stressful, busy, and complicated time of the year. Because of that, many job seekers take time “off” from actively seeking new opportunities. You may believe that everyone–including hiring managers–are also not working as diligently during the holidays—that is not the case. In fact, job seekers who search during the holidays will be more likely to secure a new position. Check out the tips below for more ideas! Tip #1 – Networking Events are More Casual. During the holidays, events tend to be less formal and it may be easier to mention that you are seeking a new job opportunity. If you can, attend chamber of commerce events, fundraising opportunities, and volunteer at a local charitable organization. This is a great way to let people know that you are seeking new job opportunities while in a casual environment. Tip #2 – Send Happy Thanksgiving or Happy New Year Cards. Instead of sending the traditional Christmas card, send a Thanksgiving Card or a Happy New Year Card. Do NOT ignore providing a thank you or note just because you think a thank you card or message will be ignored at this time of the year—that is not true. Tip #3 – Relax and Enjoy Time with Family and Friends. Even though you may be actively searching for a new job opportunity through the holidays, it is also important to relax and enjoy time with family and friends. It’s vital that you take time to rejuvenate and relax while also focusing on the new year. Remember—don’t take the holidays off when thinking about future career opportunities. A lot of job seekers decide to take a step back from searching during the holidays—DON’T DO IT. There is less competition, people are more relaxed, and the job market is as busy-as-ever during this time. Need to know if your resume is ready-to-go? Email me for a free resume review! Picture this: you have been sending resumes to online job postings, meeting with networking connections to tell them you on the job hunt and you have finally landed an interview! In fact, it’s at a company that you would LOVE to work for and the job is perfectly suited for you. Then, panic sets in because you haven’t been on an interview for a LONG time and you get nervous—really nervous. 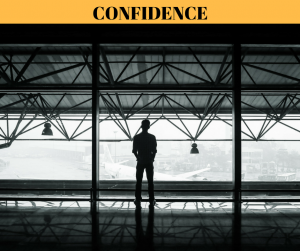 Read through these tips below for some advice on how to appear confident during your upcoming interview. Tip #1 – Do your homework. Research the company, its products, services, staff members, and mission statement. Do NOT show up to the interview and not know anything about the organization. In fact, a commonly asked interview question concerns you telling THEM what you know about their company. Don’t disappoint. And, with how easy it is to research a company on the Internet, you really have no excuse for not doing this easy step. Tip #2 – Practice interview questions. Google a list of commonly-asked interview questions and think about how you would answer them. Conduct a mock interview with a trusted colleague or friend. (Contact me today for mock interview services) And, if you do this on your own, say your responses out-loud. Better yet, turn the camera on yourself and SEE how you respond to these questions. Often, how we think we sound is actually different than how it comes across to someone else. Tip #3 – Don’t be squirmy. This may sound completely strange; however, when people get nervous, they fidget, play with their hair, dart their eyes in all directions, and generally squirm in their chairs. I tend to talk with my hands A LOT and probably do that even more when I’m nervous. To calm my nerves, I always bring a pen and a portfolio or paper with me. This grounds me and allows my hands to rest on something that doesn’t cause a distraction (just don’t play click-click-click with your pen). Tip #4 – Breathe. Breathing comes naturally to all of us, right? Not true. When people are nervous, they tend to take short breaths and find themselves breathing shallowly. Take a few deep breaths upon arrival to your interview, take another deep breath before the first question, and be conscious of your breathing during the interview. Tip #5 – Don’t be hard on yourself. Think positively and use every single interview as a learning experience. If—during the interview—you feel like you gave a less-than-stellar answer, don’t worry about it. You are probably dwelling on it more than the interviewers even noticed. And, even if this job opportunity doesn’t work out for you, you have gained even more experience as an interviewee and can learn from each one of them. Be certain that you are the CORRECT person for the job and explain how the company can be positioned better with YOU as a member of the team. Interviews can be nerve-wracking. And, as I always tell my clients, if you aren’t nervous for an interview, I would almost think you weren’t really that interested. A little bit of nervousness can harness power within you and actually be a good thing – use that to your advantage. Click HERE to access my Master Your Job Hunt email course – you’ll discover HOW to make an impact with your resume and land a new job faster! I’ve been working with a variety of job seekers since 2008—including over 2,000 clients that range from truck drivers, mid-level managers, production supervisors to college professors, lawyers, and educational professionals. No matter the profession, there are certain items that MUST be included in the resume and several things that MUST be avoided. Read further to discover the resume mistakes to avoid for today’s job market. Mistake #1 – Listing an Objective. An objective focuses on what YOU want. And, frankly, the employer is strictly focused on what the company NEEDS. That means an objective is pointless and only takes up space that could be used for a career summary or personal summary. 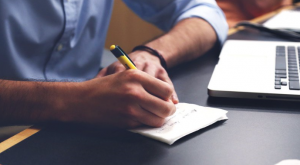 Mistake #2 – Regurgitating your job descriptions. Did you know that there are a LOT of people with the same past job descriptions as you? Sorry to break the news, but there may be a great deal of people that have had past job experiences. What don’t they have? Your accomplishments and achievements. Focus on the numbers, percentages, and dollar amounts that you can weave into the big picture. Mistake #3 – Including too much or too little information. It may be tempting to keep to your resume to one-page only or to only include your most recent position. However, a good rule-of-thumb is to include the last 10-15 years of experience (not every single job you have ever held!). Think relevance over quantity. And, at some point, putting jobs on your resume from 1985 will start to hurt you and can (potentially) cause age discrimination. Mistake #4 – Being afraid to “brag.” Many people think that they may be bragging on their resumes if they truly list all that they have accomplished. I am here to tell you that others are doing so—why aren’t YOU? Think about it. If others are putting their best information and achievements out there, then why aren’t you doing the same thing? It’s NOT bragging if you are simply stating a fact. Mistake #5 – Getting too fancy. While we all like things that look “pretty,” it’s important to remember that Applicant Tracking Systems and human resources professionals like simplicity and getting-to-the-point. Don’t mix and match fonts, along with design elements, and different colors. These things only subtract from the good elements that are inherent in your document. Here’s the scoop: the more focused, simple, and informative your finished resume can be, the closer you will be to a job interview and your dream job. If you are unsure what information to include or exclude, then email me and I can provide you with a free resume review! Feather Communications, a Colfax-based business, has been named one of the Top 100 Career Websites and Blogs by Feedspot. Dr. Heather Rothbauer-Wanish, founder of Feather Communications, is a Certified Professional Resume Writer and provides resume-writing services to clients throughout the United States. “I’m thrilled that my website is included in this list and truly enjoy providing ideas and feedback to job seekers,” Rothbauer-Wanish said. As part of her website, she features a regular blog offering implementable tips that range from formatting resumes to how to write a cover letter. Job-searching has changed dramatically within the last 10 years and today’s job seekers need to understand how to apply via online systems, which key words to implement, and the best ways to market themselves. “My favorite part of writing resumes is helping someone to identify their strengths and putting that information into a document that helps them move forward with their career,” Rothbauer-Wanish said. 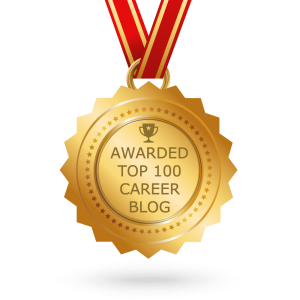 Check out the full list of the Top 100 Career Websites and Blogs HERE! I’m THRILLED to offer a new FREE download to job seekers! If you want THE job, you first need to get the interview. 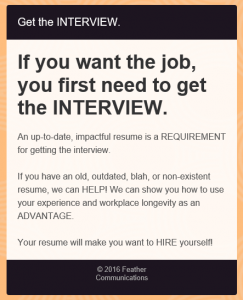 And these days, an impactful, up-to-date resume is a REQUIREMENT for getting the interview! Are you ready to make your blah, outdated (or non-existent!) resume so impressive you’ll want to hire yourself? You don’t need to exaggerate or pretend you’re someone else. In fact, I’ll show you how to turn your experience and workplace longevity into an ADVANTAGE. If you are READY to create a dynamic, eye-catching, and fantastic resume that actually GETS RESULTS, then click here for our free download! Two of the tips are Lose the Objective and Discuss Achievements. Want MORE? Our download can be accessed HERE for free!